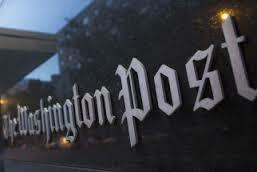 US: The Washington Post said Thursday its website was hacked by the Syrian Electronic Army, becoming the latest media organization victimized by the group that backs strongman Bashar al-Assad. A note to readers said the Post website "was hacked today, with readers on certain stories being redirected to the site of the Syrian Electronic Army." The Post said it was "working to resolve the issue." The hacker group has been linked to attacks on the websites or Twitter feeds of numerous media organizations including Agence France-Presse, The Financial Times, the Associated Press and the satirical news site The Onion. Earlier this week, the hackers hit the Facebook and Twitter accounts of the New York Post. The group has claimed the news media has been biased in its coverage of the deadly conflict in Syria. The cyber attack stemmed from a news recommendation widget, or software add-on, called Outbrain, which affected some services of CNN and Time magazine in addition to The Post, according to E Hacking News. E Hacking News said it spoke to one of the hackers and displayed screen shots illustrating the takeover.